They have arrived in the French capital for all the glitz and glamour of Paris Fashion Week. 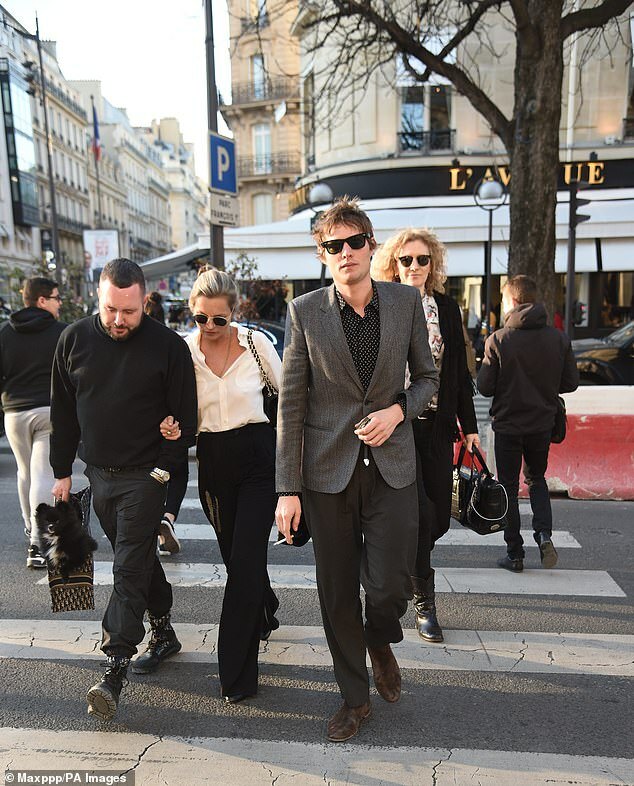 And Kate Moss, 45, and her boyfriend Count Nikolai von Bismarck, 31, were spotted making some time for some retail therapy on Tuesday, hitting the designer boutiques together. The iconic 90s supermodel looked better than ever in a simple and sophisticated ensemble as she pounded the pavements of Paris. Kate embraced a timeless look in a simple white shirt, worn tucked into smart black trousers. The high-waisted garment was set off with a pair of simple black pumps and a pair of sunglasses. She was accompanied by her partner Nikolai, who looked handsome in a dapper grey blazer. The reformed party-lover has reportedly kicked her drinking habits for over a year now. The lifestyle change has had a real effect on her appearance and her outlook, according to insiders. Kate and German aristocrat Nikolai have been happily dating since late 2015, following her split from The Kills rocker husband Jamie Hince. The pair have been hit by split claims in the past, but silenced rumours when they were seen purchasing a new puppy together. Elsewhere, fellow model Bella Hadid was spotted arriving at Charles de Gaulle airport for Fashion Week. The brunette beauty, 22, kept a low profile as she disembarked from her flight, trying to go incognito. She was clutching a Stephen King hardback novel and dressed in casual sweatpants and a white T-shirt.